667 - One more than the devil! I usually skip over the funding drive shows, but this one is pretty darn good. I'll be donating when that xmas bonus check comes around! @ Mo: This is the annual funding drive show where we solicit donations to our parent station CKUT. 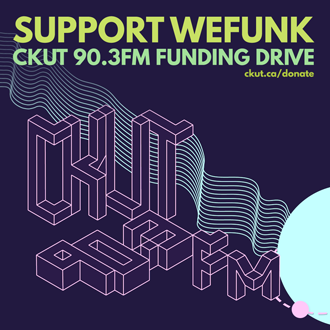 Do your part and donate here www.ckut.ca! What's with all the talks? Ohh no... you're not coming to France for the European tour ???? Suprime! Eva-Every! Tight like that! U guys know what funk is! Thanks guys. Come to Japan! another brilliant show, keep it comin.. gutted to miss you in sheffield, pls come back to yorkshire again!! what was that about polish show? DJs & GUESTS Professor Groove, DJ Static / RECORDED October 21, 2011 / HOSTING PJ, Mike, Oliver & daduke. You can help too!